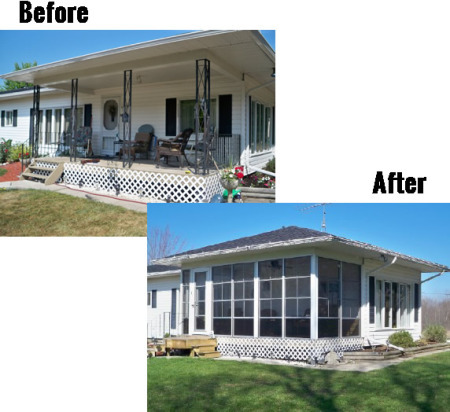 Look how your porch can easily be transformed. This kind of uplift not only makes your home look better, but it also increases the functionality of your sunroom. Choosing how and where to spend your downtime can be an important and difficult decision, we would like to make it a little easier for you. Whether you’re looking to add an addition onto your home, or if you were thinking about upgrading your current enclosure, a Sunspace Sunroom is the solution you’ve been waiting for. Combining important factors like Quality, Comfort, Style and Ease of Install, Sunspace Sunrooms are the premium solution for created a better space in your home. With Sunspace Sunrooms, we can guarantee a High-Quality Sunroom and a Comfortable Experience. We work exclusively with Sunspace Sunrooms to ensure that we only install rooms made with the highest quality and precision. We’ve partnered with this veteran company to ensure that we’re working with a product that has consistently met and exceeded customer expectations. We can ensure a high quality experience from the initial install to the years of enjoyment you are going to get from one of our sunrooms. We want strive to create a space that you can enjoy without having to worry about subtle wear and tear ruining your room. We take pride in every sunroom we build so that you can enjoy many years of worry-free relaxation. With a Sunspace Sunroom, you won't have to worry about the elements getting in the way of your downtime. 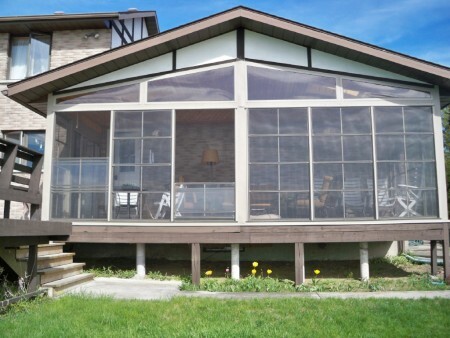 With the patented Weather Master windows and screens that come with every sunroom, you’ll have the option to let a breeze roll in, or close off the screens to keep out the cold. And don’t forget about the bugs, well, the lack of bugs. No longer will you have to hurry inside when the bugs come out. With your screened-in enclosure, you’ll be able to experience the night air free from bugs, rain and harsh winds. A Sunspace Sunroom ensures that the elements won't be getting in the way of your plans.